STOCKHOLM -- Chinese group Zhejiang Youngman Lotus Automobile has made a fresh bid for Saab, Swedish public radio reported, citing sources. Youngman's offer is worth several billion Swedish crowns, the public broadcaster reported on Thursday. It said the firm, which had wanted to invest in Saab before the the carmaker went bankrupt, would build cars at Saab's factory in Trollhattan in Sweden under the proposed deal. On Thursday, Youngman spokesman Hu Ming sad the company is still in the "early stages of discussions" and has not decided which assets to buy. The automaker has long-term plans to make its passenger-car unit a "competitive global brand" and buying Saab assets would fit into that goal, Hu told Bloomberg. Representatives from both companies met in Beijing to speak further on the acquisition, he said, declining to elaborate on the assets being considered, or the value of the deal. Youngman accumulated cash during the 2008 recession, giving the company the ability to make acquisitions now, Hu said. A key stumbling block that led to Saab's bankruptcy was the refusal of its former owner General Motors to allow its technology, which underpins Saab cars, to fall into Youngman's hands. Saab's PhoeniX platform, expected to be the base of future models, relies very little on GM technology, but any buyer would have to invest heavily to complete the development of PhoeniX. Any buyer would also have to get permission from defence and security company Saab AB and truck maker Scania to use the Saab name, as they still own the rights to the brand. 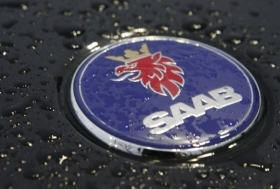 Saab, whose parent is Netherlands-based Swedish Automobile, filed for bankruptcy on Dec. 19 after running out of cash. Other companies that have been named in the media as considering bids for Saab assets include Indian utility vehicle maker Mahindra and Mahindra, Turkish investment company Brightwell Holdings and Swedish engineering firm Semcon.